Spinal cord injury is damage to the spinal cord resulting in a loss of motor and/or sensory function. Causes can be the result of an auto accident, a fall at a construction site, a gunshot wound or from any number of diseases, including cancer, degenerative disk disease, narrowing of the spine, polio, spina bifida, etc. A spinal cord injury is unlike common back injuries such as a ruptured disk or a pinched nerve, for which there is current medical therapy. The spinal cord are nerves bundled inside the bony spine. It carries information between the brain and the rest of the body. The spinal cord is protected by bones called vertebra. These bones create the spinal column. As a general rule, the higher in the spinal column the injury occurs, the more dysfunction is likely to occur. 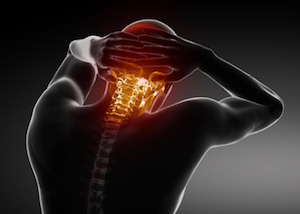 For example, if the injury to the spinal cord is in the neck, this may cause loss of motor and sensory function in the arms and legs, resulting in paraplegia or quadriplegia. If the injury is at the mid spine level, this usually causes loss of motor and sensory function in the chest and the legs, resulting in paraplegia. If the injury to the spinal cord is in the low back, this generally results in some functional loss in the hips and/or legs. There are many types of sensory or functional losses that could result from a spinal cord injury, including loss of feeling, loss of function, loss of ability to control your bowel or bladder, sexual dysfunction, infertility in men, inability to breathe on your own, chronic pain and other injuries. If you have a spinal cord injury resulting from medical negligence or the negligence of another, you want attorneys who are competent to handle complex medical issues and who have the experience to handle the case efficiently and appropriately. Willoughby Brod, LLP understands spinal cord injuries and has litigated many spinal cord injury cases, including those arising out of hypotensive ischemic insult, failure to diagnose enlarging tumors, trauma from motor vehicle collisions, degenerative spine changes, surgical mistakes and other medical negligence. Does The Firm Handle Cases In My Hometown? Yes. While Willoughby Brod, LLP is an Oakland spinal cord injury attorney firm, we have offices in Southern California and represent clients throughout the state.